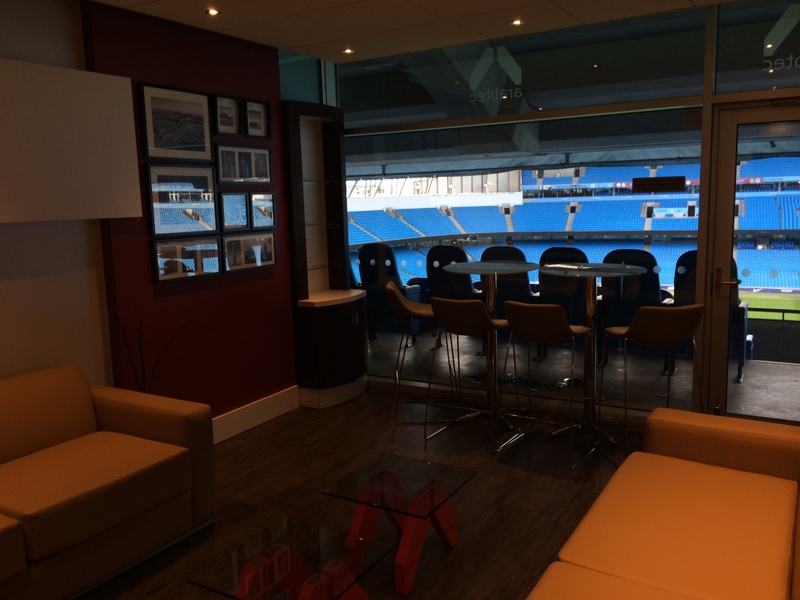 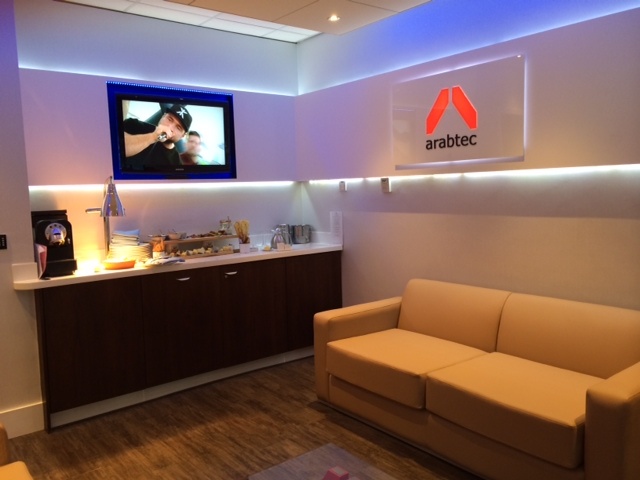 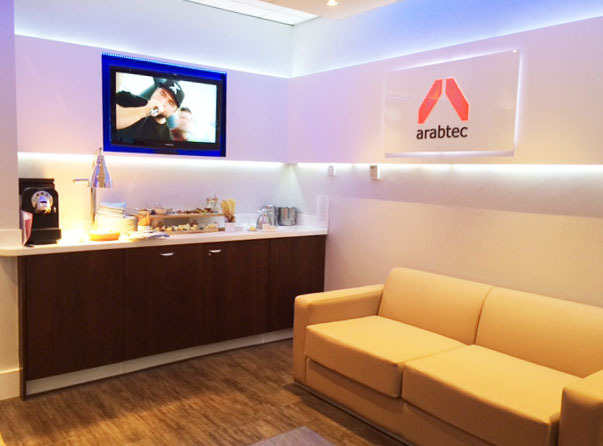 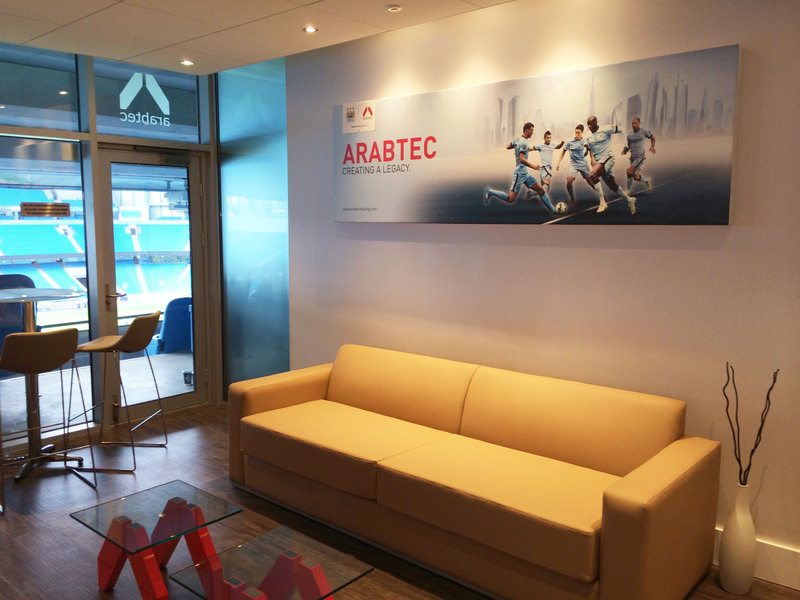 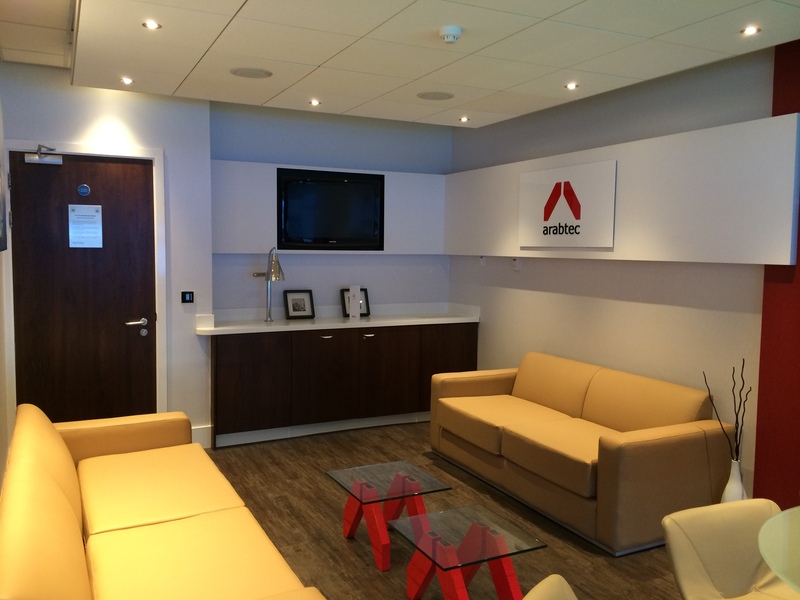 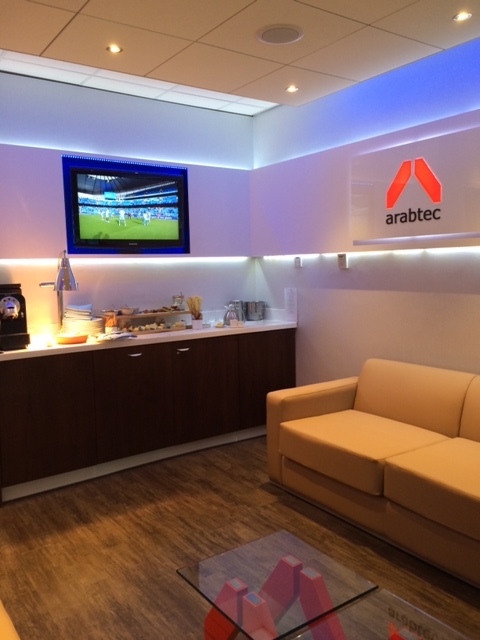 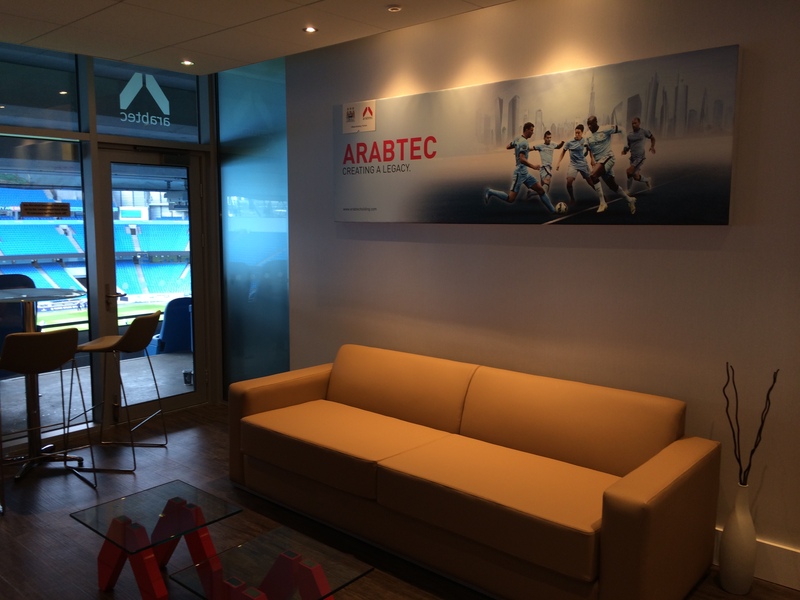 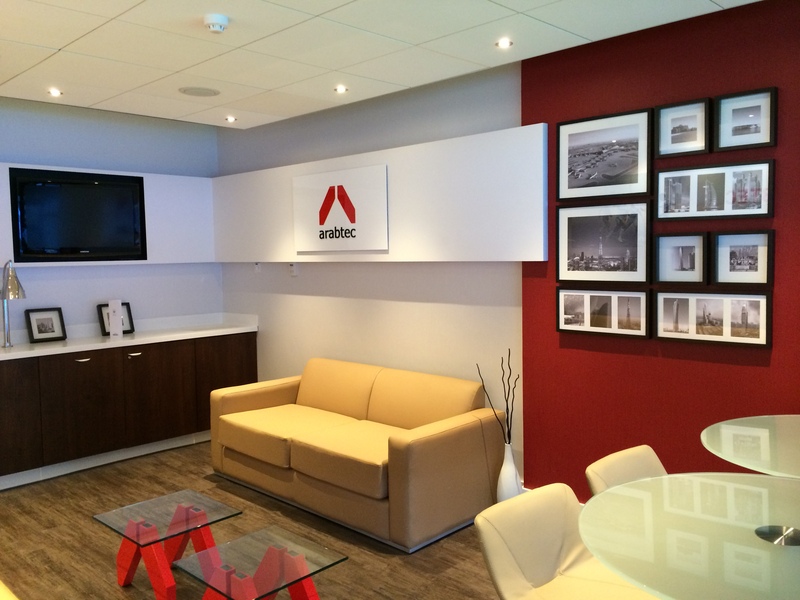 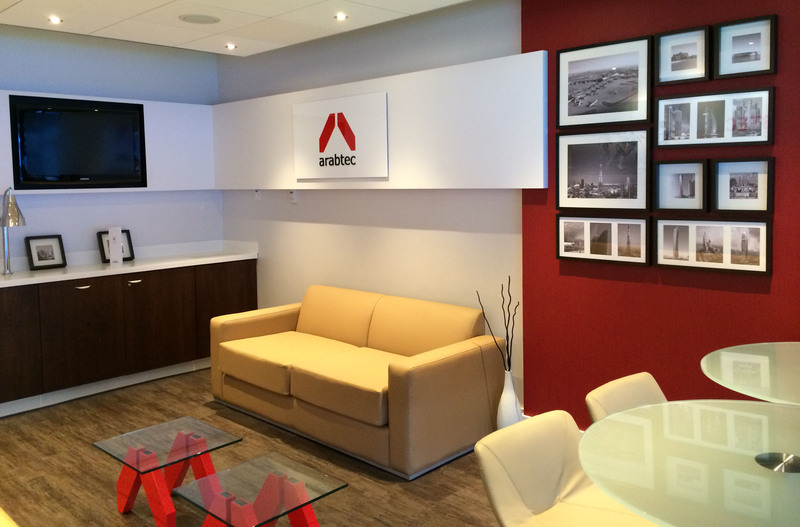 Arabtec approached Preferred Spaces to fit out their corporate box at MCFC. The time scale was very short, so Arabtec’s design had to be progressed quickly to enable works to commence on site. 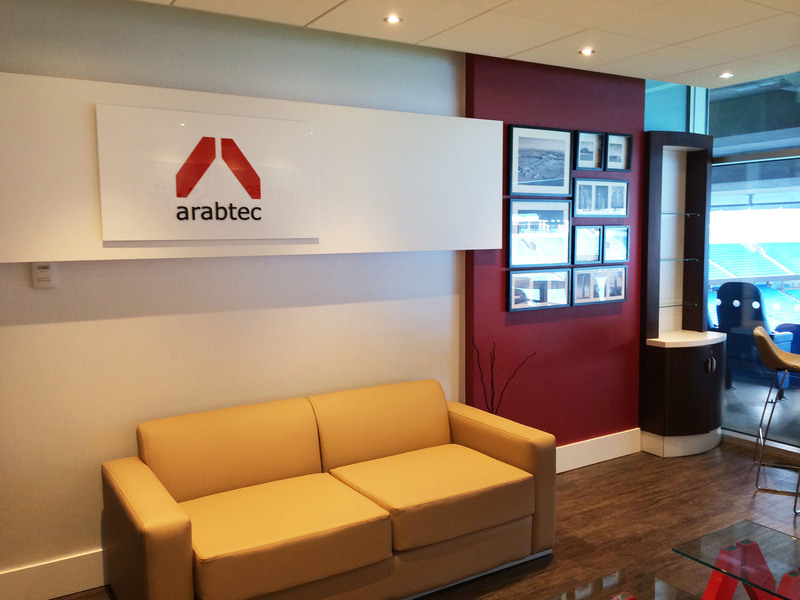 Works included new flooring, lighting, decoration, bespoke artwork and signage, plus furniture including bespoke tables based on the Arabtec logo. 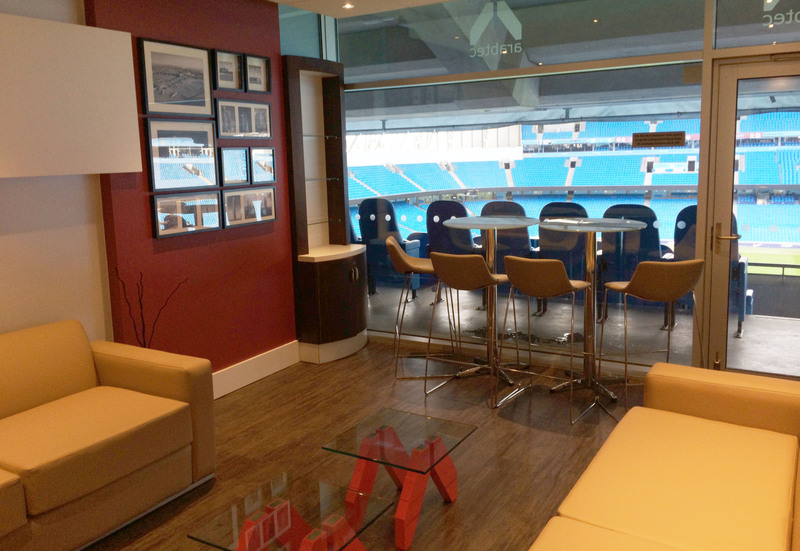 The deadline of the MCFC v MUFC derby ensured everyone was focused on delivering this project on time!